Enrico Adriano Raffaelli was born in Asolo on August 15th, 1949. 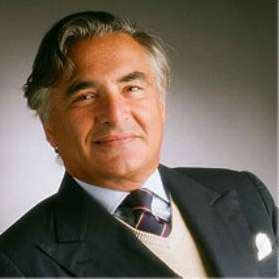 He studied at the University of Milan where he graduated in law in 1973. He was admitted to bar on 1976 and in 1979 he founded the Law Firm Rucellai & Raffaelli, which now counts three offices in Milan, Rome and Bologna, with a total of around 70 lawyers. - assistance to multinational groups in several different economic sectors (TV media, insurance, steel, chemical, pharmaceutical, IT, electronic and consumer goods). Frequent lecturer on intellectual and industrial property rights, EU law and EU and national competition law at conferences and seminars; among the major conferences, the most important of the recent years were those held before the Fordham University of New York, the Ilustre Colegi d'Advocats de Barcelona, the Patent and Trademark Italian Office and the Centre de reserche sur le droit des affaires (Creda) de Paris. He taught European Law at the Milan Catholic University for several years and his articles are published on leading journals. He is Honorary President of the European Lawyers Union and also President of the Competition Law Commission of the same association. He is member of the board of the Associazione Italiana per la tutela della concorrenza, the Italian Section of LIDC (Ligue International du Droit de la Concurrence), as well as member of various associations. He has been promoting the organisation of all the editions of the Treviso Conference on "Antitrust between EU Law and national Law"
He received the "excellence award" at the Legalcommunity's IP & TMT Awards on May 2016.